What's on Netflix > Netflix News > What time will Season 3 of ‘Santa Clarita Diet’ be on Netflix? Santa Clarita Diet season 3 is almost upon us! What has felt like an age long wait, the Hammond family will be returning to our screens soon. But the big question is what time will I be able to stream the third season on my Netflix? Let us help with that. Here’s our guide for what time you’ll be able to stream season 3 of Santa Clarita Diet in your Netflix region. Santa Clarita Diet is a Netflix Original horror-comedy series created by Victor Fresco. The zombie horror-comedy is a fan favorite amongst many Netflix subscribers and was an instant smash hit. 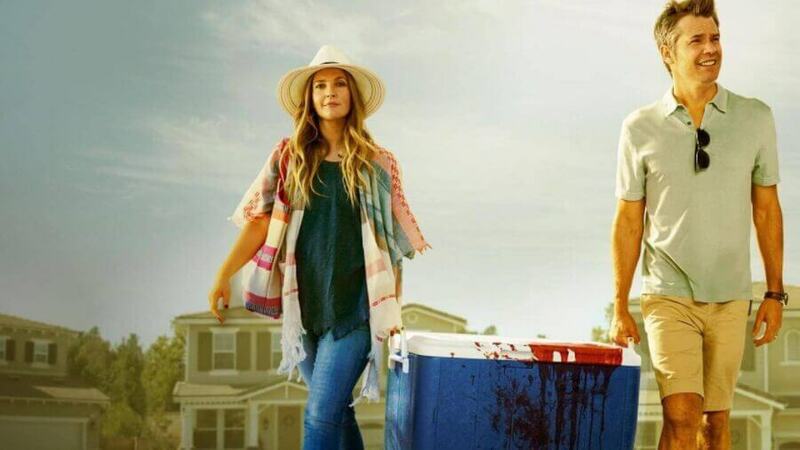 Known for its incredibly graphic and gory scenes, more importantly, the blend of comedy and charm of Santa Clarita Diet has been expressed through the perfect casting of Drew Barrymore and Timothy Olyphant. We unsure if Season 3 will be the last but we’ll enjoy the wave of blood, guts, and gore for as long as we can. Sheila and Joel are an ordinary husband and wife realtors until Sheila undergoes a dramatic change that sends them down a road of death and destruction. In a good way. What time will I be able to stream season 3 of Santa Clarita Diet on Netflix? Depending on where you are in the world will determine what time season 3 of Santa Clarita Diet is available for you to stream. For anyone confused why you’ll not be able to stream the third season from midnight everywhere, this is because Netflix releases all of their titles at PST (Pacific Standard Time). So for fans in New Zealand that are 20 hours ahead of the PST, you don’t receive titles until late in the evening. All 10 episodes will be available to stream upon release! Are you excited for the release of Santa Clarita Diet season 3? Let us know in the comments below! Next story What time will Season 2 of ‘On My Block’ be on Netflix?